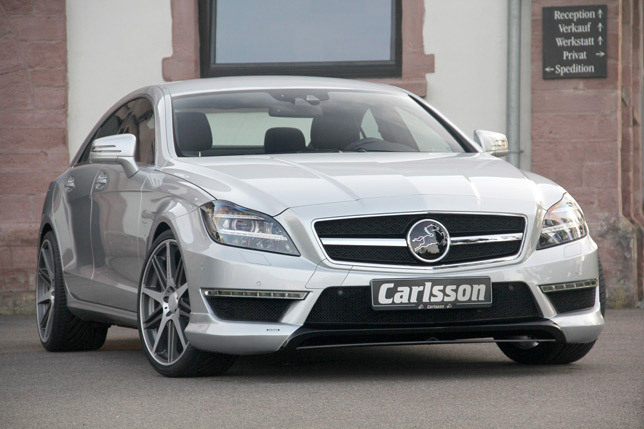 The automobile manufacturer Carlsson uses the stylish shapes of the new generation of Mercedes-Benz CLS models (type C 218) to underline the vehicle's elegance and sportiness. 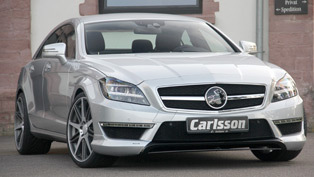 At the top of the line is the Carlsson CK63 RS based on the Mercedes-Benz CLS 63 AMG with Performance Package which will have its world premiere at the Frankfurt Motor Show 2011. 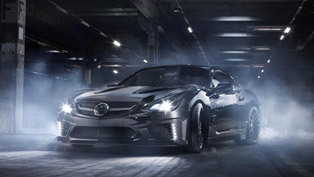 Carlsson incorporates coupé-style contours and lends the vehicle's exterior a touch of sophistication with the comprehensive aerodynamic package. The new front spoiler and the front spoiler lip RS made of carbon fibre ensure an athletic look for the luxurious saloon, a look which is underscored further by the black painted stainless steel grille inserts. 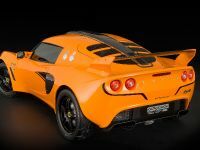 The discreet spoiler on the trunk lid and the rear skirt insert with its rear diffuser RS made of carbon fibre ensure extra downforce and more stable road holding even at high speeds. 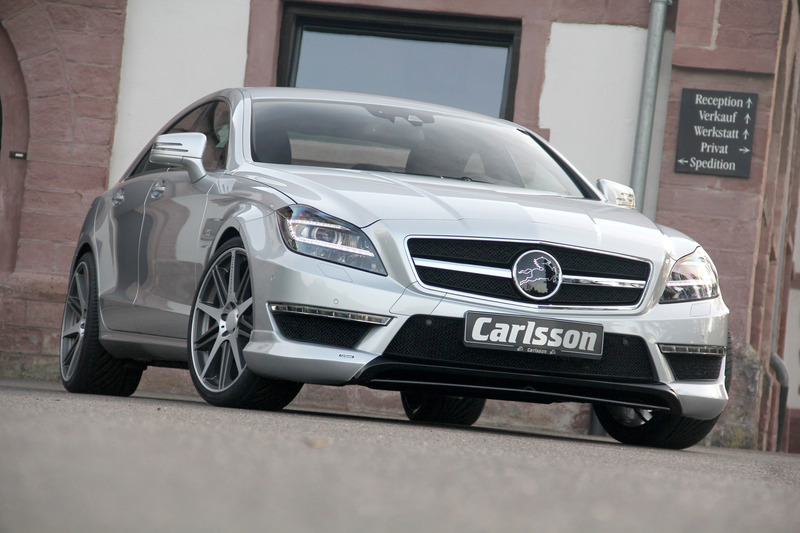 The performance figures are also impressive: Optimized by Carlsson, the engine of the CLS 63 AMG with Performance Package under the long bonnet now produces 649 hp (477 kW) and 900 Nm of torque, compared to the original 557 hp (410 kW) and 800 Nm. 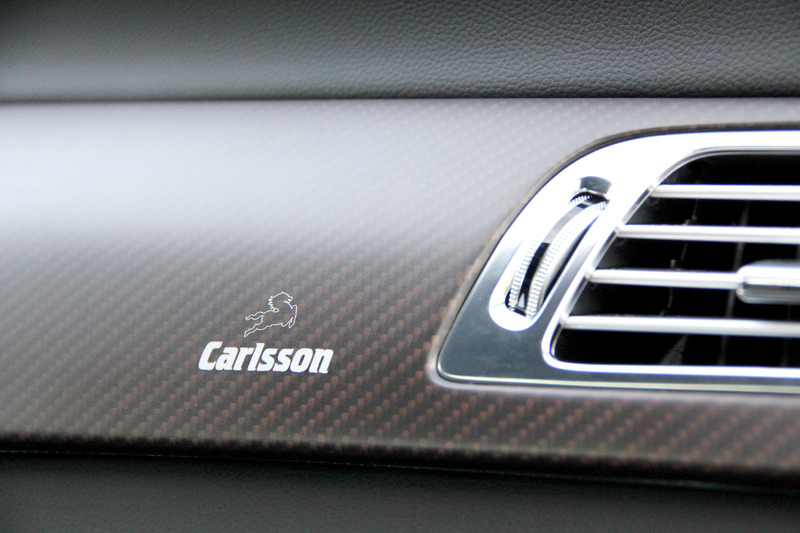 This allows the Carlsson CK63 RS to reduce the time for the sprint from 0 to 100 kph from 4,3 to 4,1 seconds. 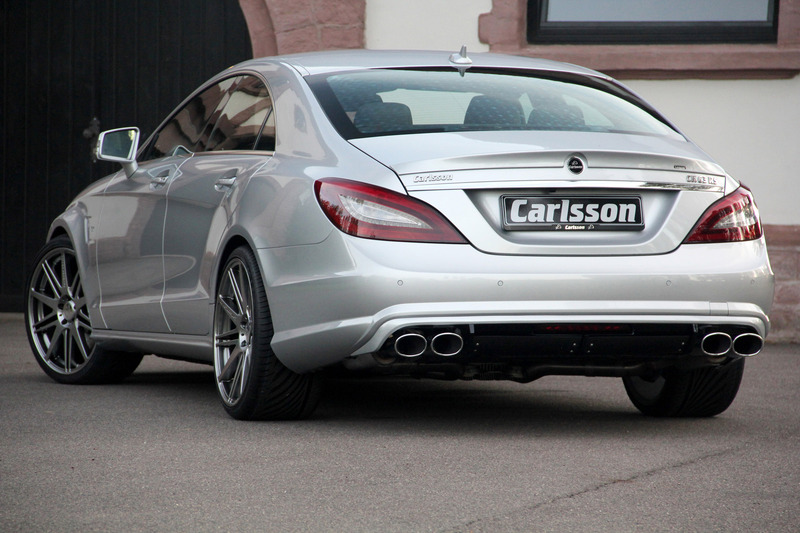 Finally, the Carlsson stainless steel sport exhaust system with 4 oval end pipes gives the CK63 RS a distinctive sound. 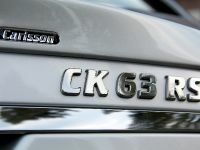 Also for smaller diesel and gasoline engines, Carlsson offers technically sophisticated performance kits with the general Carlsson 3 year guarantee. 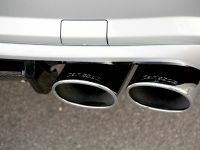 The performance kit CK50 for the CLS 500 for instance raises the output of the engine from 408 hp (300 kW) and 600 Nm of torque to 475 hp (349 kW) and 687 Nm. 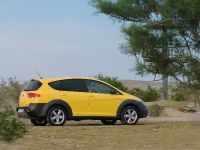 The vehicle's light alloy wheels 1/10 which are available in up to 20 inch also emphasise the sporty yet stylish contours of the new aerodynamics package. 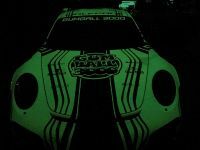 By combining five single and five double spokes, the automobile manufacturer from Merzig in Germany is setting a design trend. Thanks to an elaborate manufacturing process, the forged wheel 1/10 Ultra Light generates a weight advantage of 40 percent compared to the original wheels. 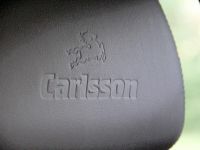 This allows Carlsson to attain more strength and a distinctly improved rolling quality at the same time. The 1/10 design is also available as casted wheels in three different colour variants: Brilliant Edition, Graphite Edition and Titanium Edition. 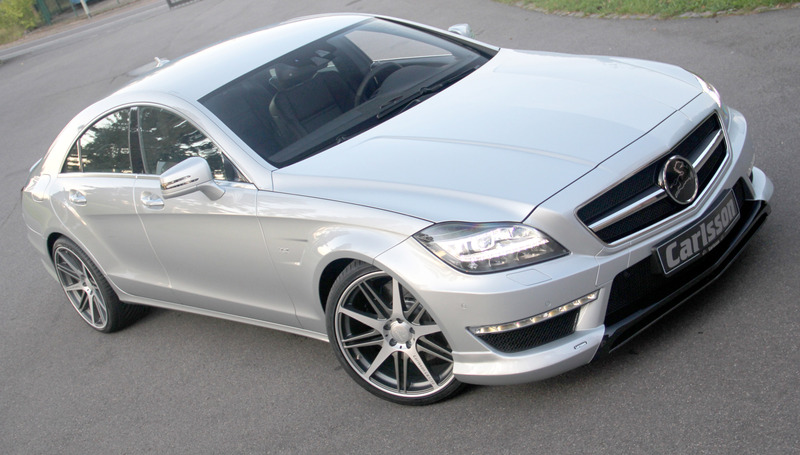 The Carlsson suspension with two sport springs lowers the CLS by 30mm at the front axle and thus allows an even more agile drivability. 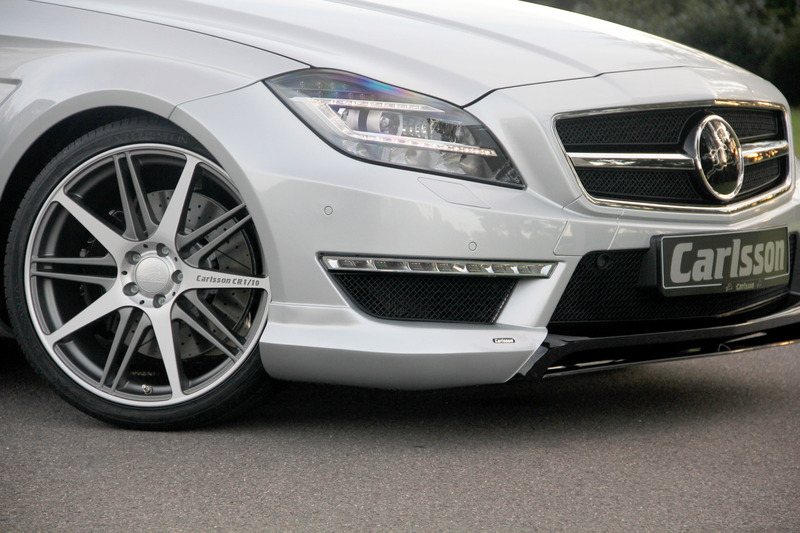 Carlsson's patented C-Tronic® SUSPENSION is responsible for delivering excellent road holding for vehicles with the standard AIRMATIC suspension. This intelligent suspension lowering system drops the vehicle by up to 30 millimetres and continuously monitors the situation of the road. 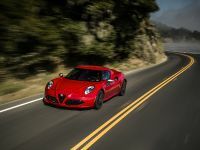 Depending on the road conditions, the controlling device adapts the residual spring travel every 150 milliseconds, thus ensuring optimum comfort and excellent driving dynamics with an appealing look. 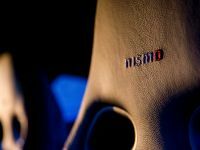 The C-Tronic® SUSPENSION switches to serial conditions when the speed drops under 20 kph as the original suspension adjustment will already lower the vehicle. 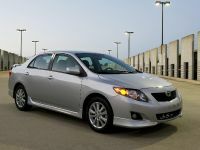 The vehicle's refinement reaches its peak in the interior. 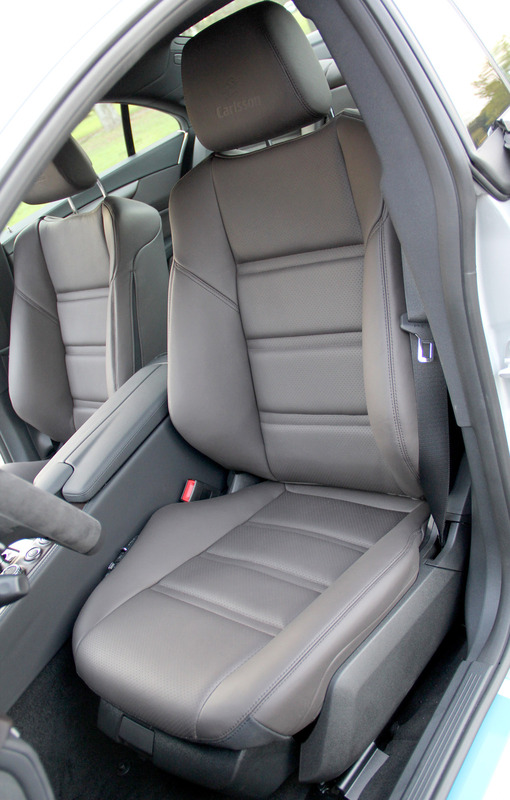 The automobile manufacturer cultivates traditional craftsmanship by using finest materials such as leather, exclusive Alcantara, carbon fibre, best root wood and several other exclusive natural materials. 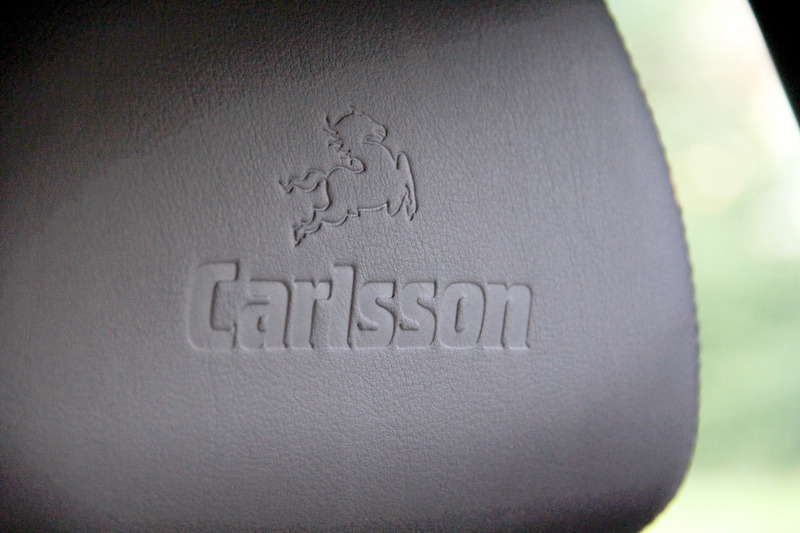 The selections of the materials and the excellent workmanship attest the uncompromising quality requirements of Carlsson's own upholstery. 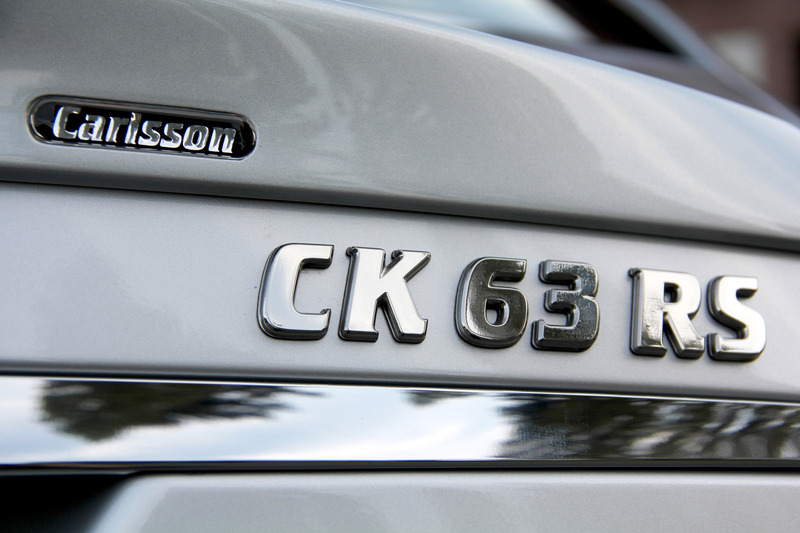 The CK63 RS experienced a Carlsson interior refinement at the top of the line. 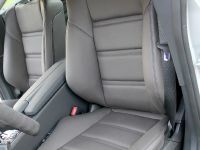 The seats and door panels as well as the rear seat bench have been covered in Mokka brown Carlsson NAPPA EXCLUSIVE leather. Thanks to its thickness of 1 to 1,4 millimetres, this pigmented leather is particularly resistant while still providing the feel of a soft leather glove. The extensive tanning process guarantees that the leather skins' pores remain intact and thus prevent heat accumulation. In the winter, too, this particular natural material immediately adapts to the individual body temperature. The same high quality and attention to detail is reflected by the carbon inlays in dark brown/matte which can be found among others in the dashboard, the door panels and the centre console. Other high quality parts like the illuminated door sill panels, soft velour floor mats featuring the Carlsson logo and door pins made of brushed aluminium further contribute to the stylish appearance of the CLS' interior. The number of variants is unlimited: The saddlery's applications range from different forms and kinds of perforation over individual colours of desired leather skins to the combination of various materials like leather and Alcantara with corresponding stitching and piping. 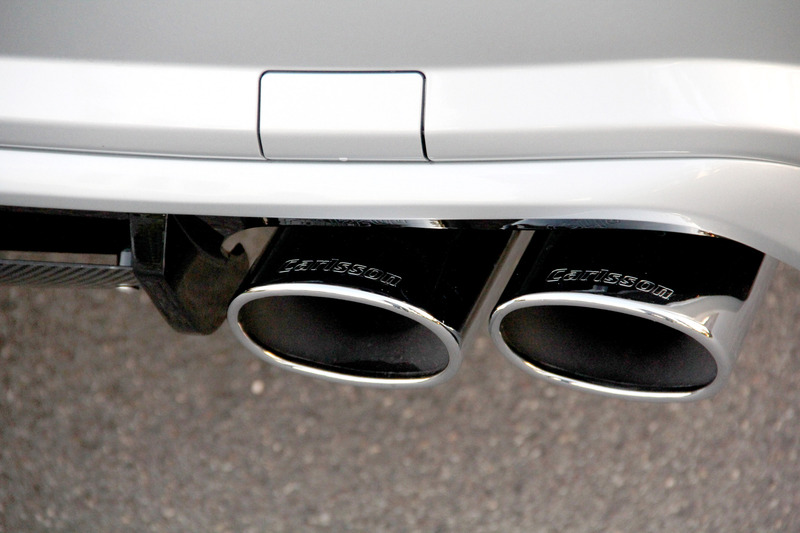 Exclusively Central European raw materials of German production are used for all Carlsson NAPPA products. 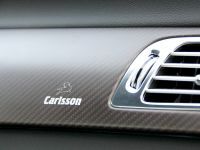 Carlsson also assumes responsibility in matters of environmental protection: the water used during the manufacturing process leaves the German tannery in drinking water quality. 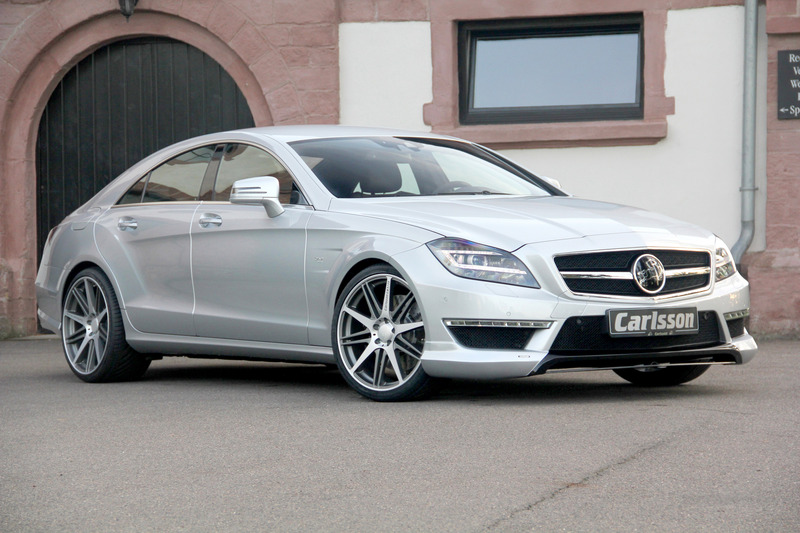 With its comprehensive finishing package for the CLS model, Carlsson has once more proven its refined sense of taste when it comes to Mercedes design. 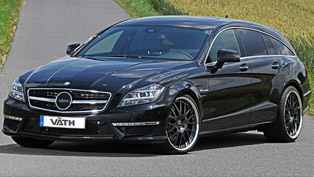 Thanks to its efforts, the already stylish standard CLS63 AMG has turned into a unique individualist.